The Quirepace STEERON AGV designed specifically for operation in hospitals has safety as the paramount consideration. 360 degree scanning safety fields in combination with contact bumpers ensure that there are no “blind spots” in the safety scanning systems. The new STEERON vehicle is a development of previous AGV designs. It has a unique “Tractor & Trailer” chassis design which combines the stability of a “tricycle” configuration with the true bi-directional manoeuvrability of a 4 wheel design. Using small but extremely powerful motors, and the latest compact electronic systems, space has been made within the chassis for very large battery capacity giving extended range. For example the latest LiFePo4 battery technology can deliver 120Ah @ 48V – a massive 5.8kWh of storage. LiFePo4 batteries provide the best compromise between safety, (since they are immune from thermal runaway) and the ability to deliver high discharge rates for traction applications combined with fast opportunity charging. 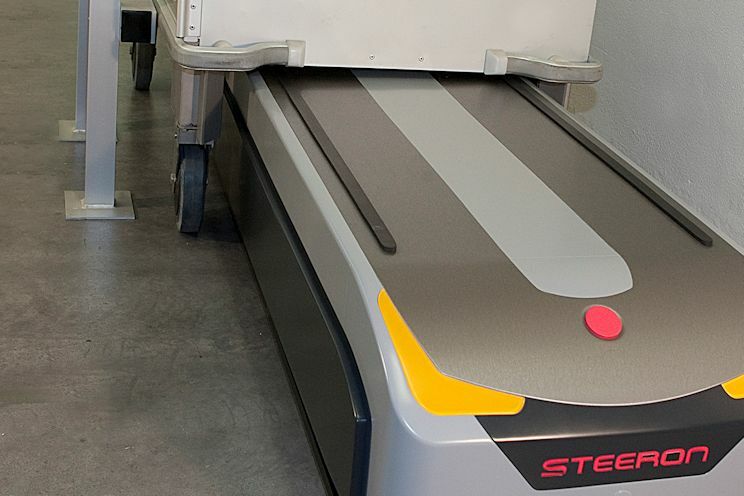 The STEERON AGV has 360 degree scanners for safety and contour navigation. Communication for navigation and routing is over WiFi. Manual interface with the vehicle is carried out using tablet or smartphone avoiding the requirement for additional vehicle-mounted screens, while additional up and down looking sensors further protect the vehicles operation and audio and visual signals announce the vehicle’s presence to users and public. 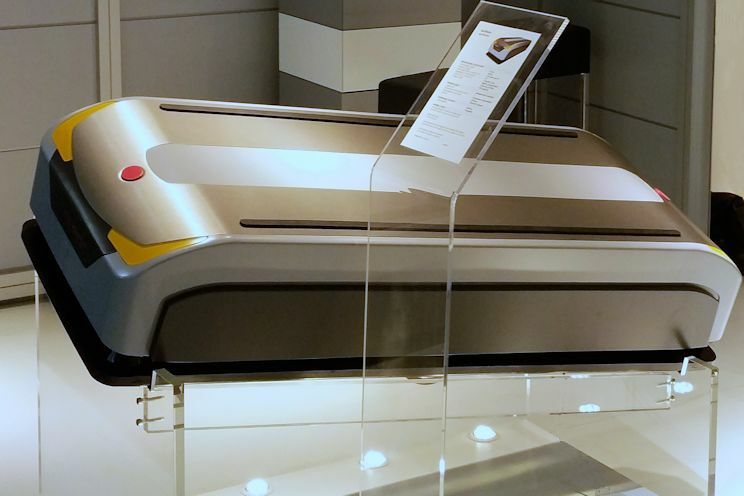 With compact dimensions, high maximum speed of >2.0 m/s, a payload capacity of up to 600kg and ability to handle slopes of up to 7% even when fully loaded to maximum capacity, STEERON delivers the performance required. Contact Quirepace today and find out more about STEERON.